Electric oven/hob, microwave, dishwasher, fridge-freezer, washing machine, leather sofas, large screen TV with FreeSat, DVD Player, Nintendo Wii, a log-burning fire and downstairs WC. There is also a selection of books and board games for you to use. The first floor comprises two luxury bedrooms, one with a double bed and the other with two singles, each room furnished to a very high standard. There is also a main bathroom with sink, WC, bath and shower. All bed linen and towels are provided. 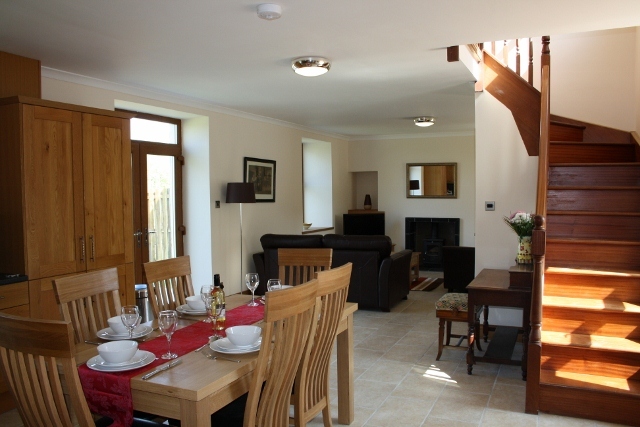 The property sleeps up to 6 or, together with the adjoining property, up to 12 people. 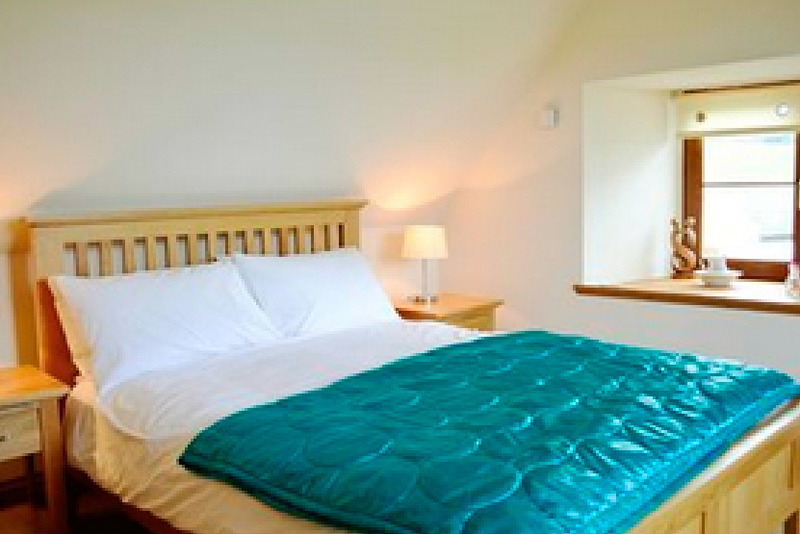 Both properties have separate patio areas with garden furniture, barbeques and each contains a double sofa bed. 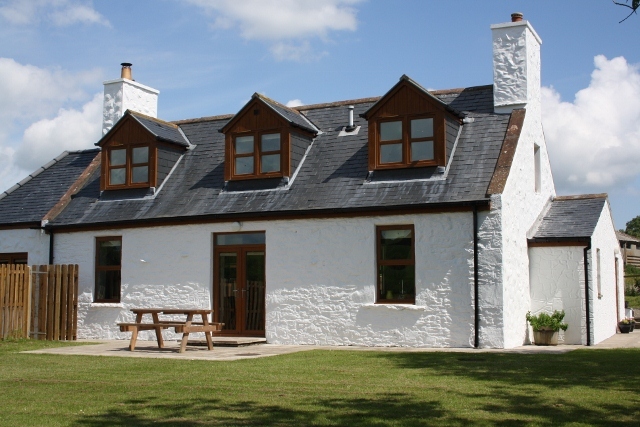 Drumfad Cottage and Drumfad Barn are adjoining with connecting doors which can be locked, allowing both properties to be let separately or as one for larger groups.